Grapes are for the birds. In their natural habitat grapevines are climbing plants, designed to grow rapidly up trees and reach sunlight through gaps in the canopy. It’s a freeloading sort of existence, taking advantage of the trees’ patient work of developing a solid trunk to help them grow slowly but steadily to gain pole position in competition for light. The grapevine makes no such attempt to grow a self-supporting stucture, but instead grows quickly, with long flimsy stems. Its tendrils are a vital adaptation to this lifestyle, as is a root system that grows deeply to scavenge resources from under the nose of its more established host. Then, in order to reproduce the vine produces bunches of red berries to tempt birds, who eat the fruit and disperse the seeds with their own ready made dollop of fertilizer. 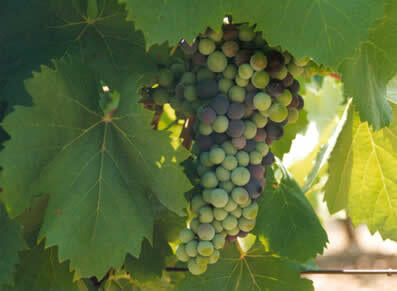 Veraison, the colour change from green to purple black, via red, is an important process. It’s the vine’s way of getting birds to eat the grapes at the right time. While the grapes are green, they are camoufluaged. They are also rendered unpalatable by high levels of a range of compounds, including acids, methoxypyrazine (the ‘green’ or grassy tasting chemical that at lower levels helps contribute to the New Zealand style of Sauvignon Blanc), and bitter-tasting tannins. As the growing season progresses and the seeds of the grapes ripen, a series of physiological changes occur in the berries. Most visible is the colour change, a visual indicator of unseen chemical transformations that will make the berries taste sweeter and more rewarding. Incidentally, in their wild state all grapes were dark coloured. White (or more strictly speaking, yellow) varieties arose as a genetic mutation, which has recently been shown to be due to a change in a gene that regulates the production of anthocyanins, the red/blue–black pigments that gives dark grapes their colour. As this ripening process proceeds, sugars accumulate in the berries and the acidity levels drop. There are changes in the tannins, which become less bitter-tasting and softer, and the methoxypyrazine levels decrease, making the grapes taste less green or herbaceous. These changes are all highly significant from a winemaking perspective. The timing of ripening is significant. It coincides with the onset of autumn. In the vine’s natural range, summers are typically hot and dry: not ideal conditions for seeds to germinate and young plants flourish. I suspect that by delaying ripening until autumn, the vine gains two advantages. First, the grapes are appearing at a time where the abundant food supplies of summer are waning, and so they are even more attractive to the birds who then have fewer alternative food supplies. Second, the autumn rains make conditions ideal for the establishment of new plants (although I’m not absolutely certain that the vine seeds germinate at this stage; they may well wait until the following spring). This, however, creates headaches for wine growers who want to harvest in dry conditions, and don’t want to see their crop being devoured by birds. 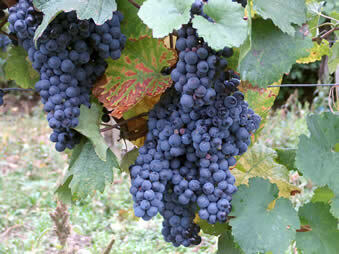 Winemakers commonly make a distinction between two rather separate ripening processes, known as phenolic ripeness and sugar ripeness, although this distinction is contested by some. 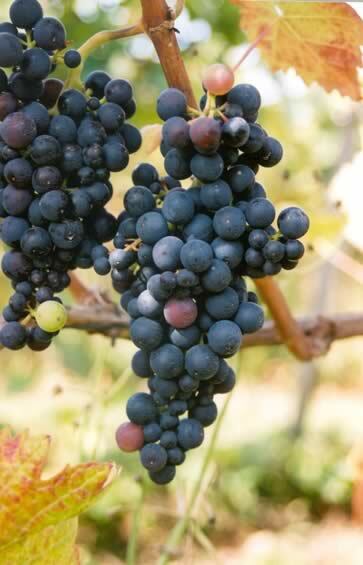 Phenolic ripeness (also referred to as physiological ripeness) refers to the changes in the tannins that occur in grape skins, seeds and stems. Sugar ripeness refers to the breakdown of acids and accumulation of sugars. In the classic northern hemisphere regions, grapes are typically harvested by sugar ripeness. In many vintages it’s a question of getting the grapes as ripe as possible before autumn rains set in, and usually the phenolic ripeness is satisfactory where yields have been kept sane. Are phenolic ripeness and sugar ripeness independent of each other? Clearly not; at the very least, there’s a correlation. But it does seem that phenolic ripeness is more related to hang time than sugar ripeness is; by this, I mean sugar ripeness seems more tuned to the sunlight and warmth of the particular vintage, whereas phenolic ripeness is less closely tied to these vintage conditions. I suspect this is quite a controversial statement. What are wine growers aiming for? ‘Perfect’ ripeness is achieved when sugar levels are high enough but not too high to make a wine that has moderate alcohol levels; when acidity is naturally just right; when phenolics such as tannins are at the right stage; and when fruit flavours are appropriate from the wine style in question (for red wines, are they red or black, for example?). There are also a range of other chemicals found in grapes that will change in composition with the ripening process. Because many of these changes occur with different trajectories and are impacted by different factors, finding this place of perfect ripening balance can be an elusive goal. 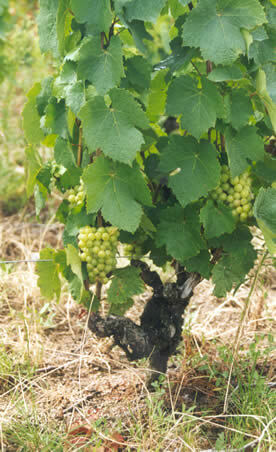 The ideal vineyard sites are those which, in an average vintage, yield perfectly ripe grapes. Of course, it’s likely that there is a window of ‘perfect ripeness’ for each variety, where within the spectrum of perfect ripeness there lie stylistic differences. Outside this window we have on the one hand under-ripeness, and on the other over-ripeness. 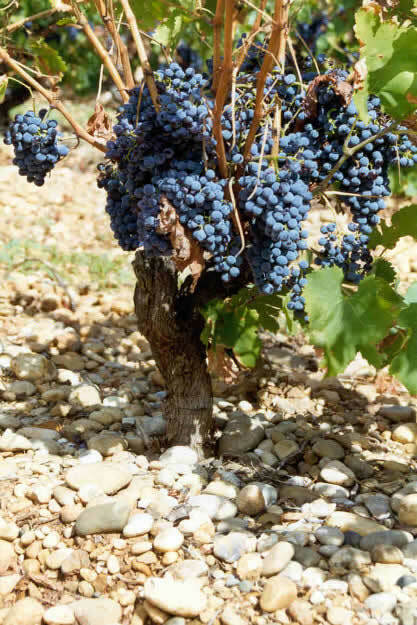 Some commentators point out that currently many new world producers are erring on the side of over-ripeness by leaving the fruit on the vine too long – a practice known as excessive ‘hang time’, and which results in what some have described as ‘dead fruit wines’. Certainly, high alcohol levels caused by excessive sugar ripeness are a real problem: the alcohol levels for many wine styles have been creeping up over recent years, and it’s likely that they are having a detrimental sensory impact. One of the interesting things about wine is how the same grape variety can perform differently grown in different places. Fully ripe Chardonnay grapes in Burgundy make wines that taste different to those made from fully ripe Chardonnay grapes grown in California. It’s also possible to discern the difference in style between wines made from ripe grapes grown in one part of California from another, or one part of Burgundy from another. And you don’t get Burgundy just by picking grapes from Sonoma early; you just get unripe California Chardonnay. Finally, I’ll close this rather meandering piece by looking at the interesting question of homogeneity of ripeness within a vineyard, and whether this is positive for wine quality. It’s clear that to blend together unripe grapes and over-ripe grapes doesn’t result in a balanced wine. Indeed, under-ripe grapes are completely undesirable and can ruin a wine, not add freshness. Having said this, a tiny bit of greenness in red wines can be a good thing – many top red Burgundies and Bordeaux have just a hint of greenness to them in their youth, but age very well. Generally, though, I get the impression that rigorous selection in the winery to root out unripe grapes and ensure as homogeneous crop ripeness as possible is probably an important contributor to wine quality.